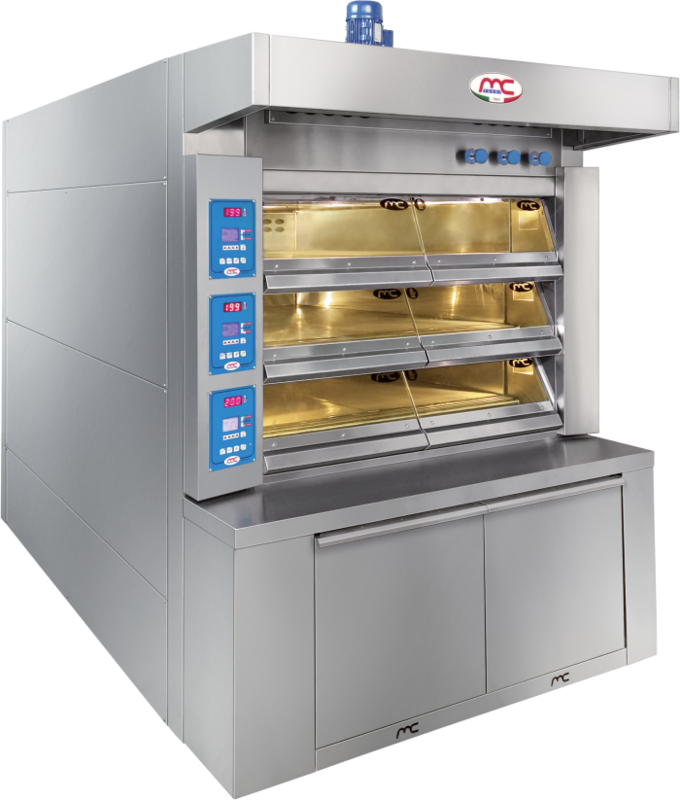 In the front area of the oven higher power resistances are installed, adjustable to ensure perfect uniformity cooking with heat loss of the glass. The steam generators are made of rectangular steel pipes of big thickness, placed under the baking chambers, leaned on to the base, and heated by special resistances (the same of the mouth). 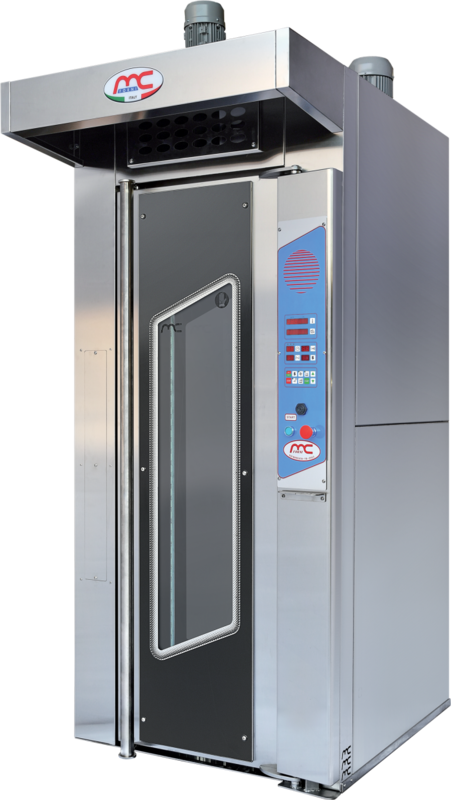 Each steam generator works for each single baking chamber. 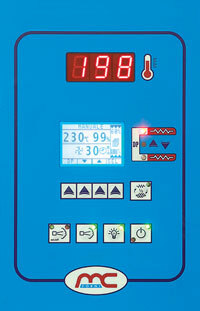 If the working of one steam generator is not necessary it can be not switched on. The working of each steam generator is guaranteed by a water solenoid valve in bronze and in stainless steel of best quality. • In the front part of the oven, in the ceiling and in the floor, the resistances of superior power to those present in the chambers, are placed. This compensate the missing of heating caused by mouth glasses. 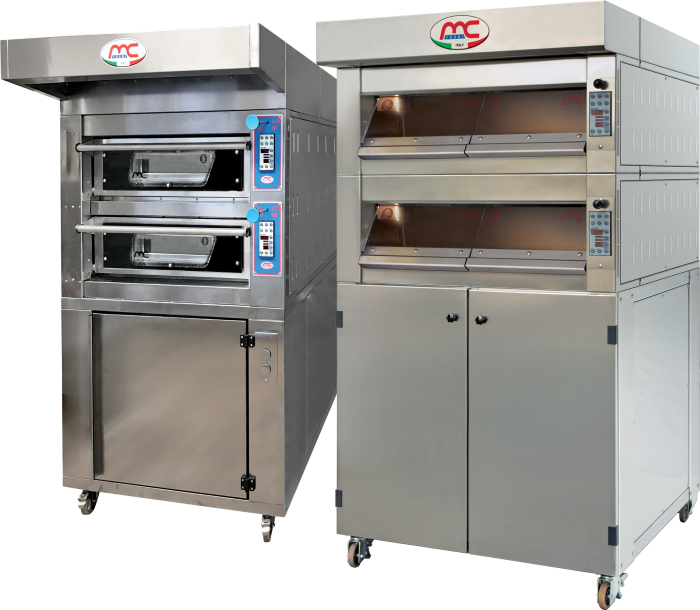 • A better uniform baking is guaranteed by a major number of resistances placed inside the chamber. 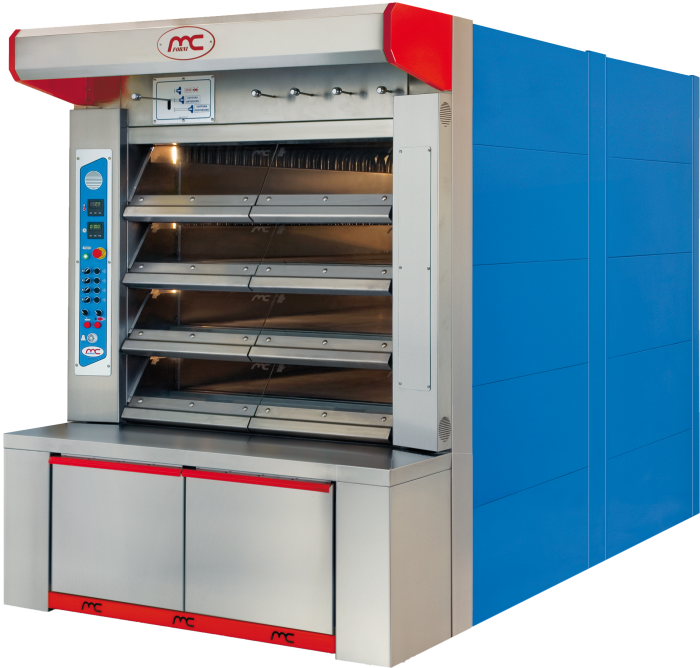 • The power panel of each baking chamber is with static working, totally inactive from the dust or flour, with a very longer life. • Each outlet for the resistance feeding is protected by fuses, easily replaceable. • All the panel is ventilated servant, in order to have a cooling of the power equipments and to eliminate the humidify on the electronic equipments. 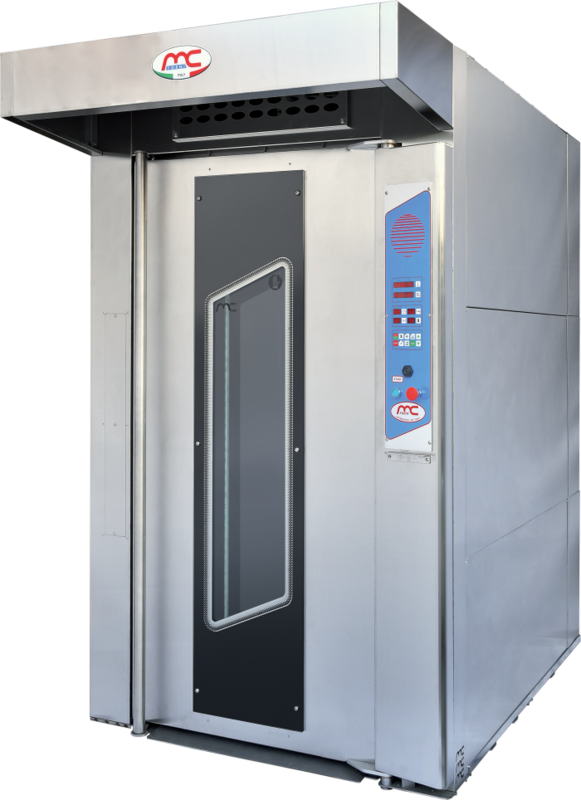 • As optional is possible to assembly on the panel of the Customer, an absorption current analyser, which controls the oven in order to not exceed the maximum bakery set power. Consequently, trough this instrument, when the oven is switched on, if another user absorbs quantity of power exceeding the maximum, the instruments sends a signal to the oven reducing power. It’s also possible to vary, through the sub-parameters, the temperature of steam, the duration of steam, the selfignition up to two a day throughout the week. • push button of switching on/off of the chamber (I).